The CEO of the Manager of Frasers Centrepoint Trust, Dr. Chew Tuan Chiong will step down by year-end. His successor "will be announced in due course". 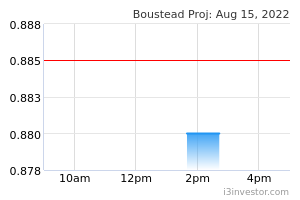 Boustead Projects Limited has secured a contract worth over S$200 million to build an integrated advanced development and global headquarters for Surbana Jurong Private Limited and its group of companies to be located at the 600-hectare Innovation District in Singapore. SK Jewellery Group Limited has entered into a memorandum of understanding with Bizkey Network Pte. Ltd., a blockchain-based Point-of-Sale (“POS”) systems provider, in relation to the acceptance of cryptocurrency as an alternative form of payment at its jewellery outlets. 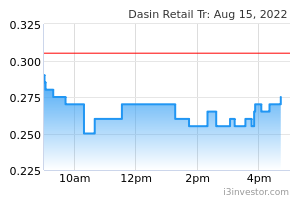 Dasin Retail Trust has extended its S$106.6 million and US$52.4 million offshore facilities at a lower interest rate margin, and lengthened the weighted average term-to maturity to 1.6 years.